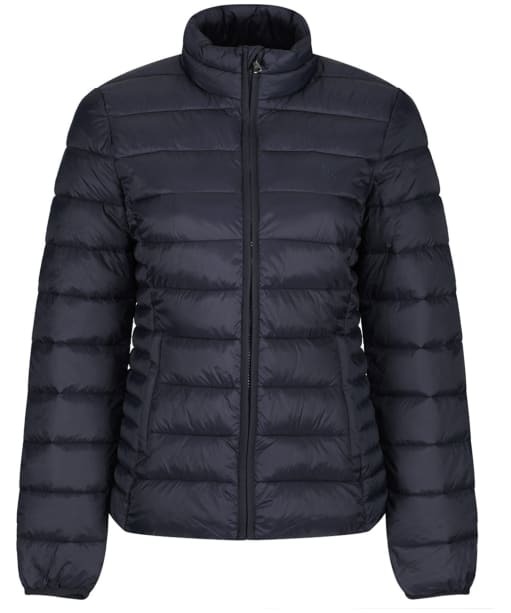 Take on those cooler days in style with the Women's Crew Clothing Lightweight Jacket. 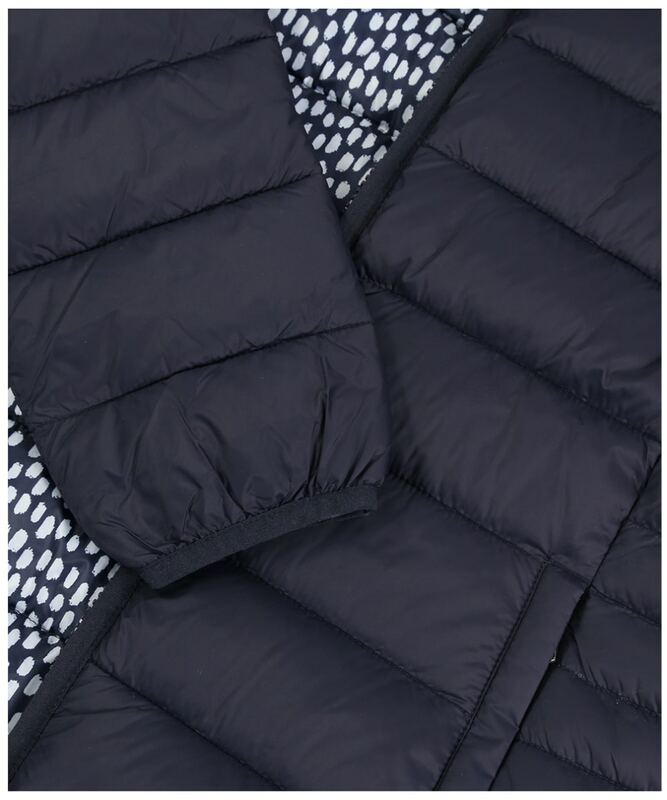 Featuring a stylish baffle quilted design that is sure to keep you on-trend through this season and beyond, this jacket boasts a dupont down filling to offer the upmost warmth for a cosy feel perfect for those walks in the country or trips into town. To the front, there is a full zip that fastens up to a funnel neckline to offer added protection from those chilly winds, with the lightweight feel sure to keep you comfortable all day long. 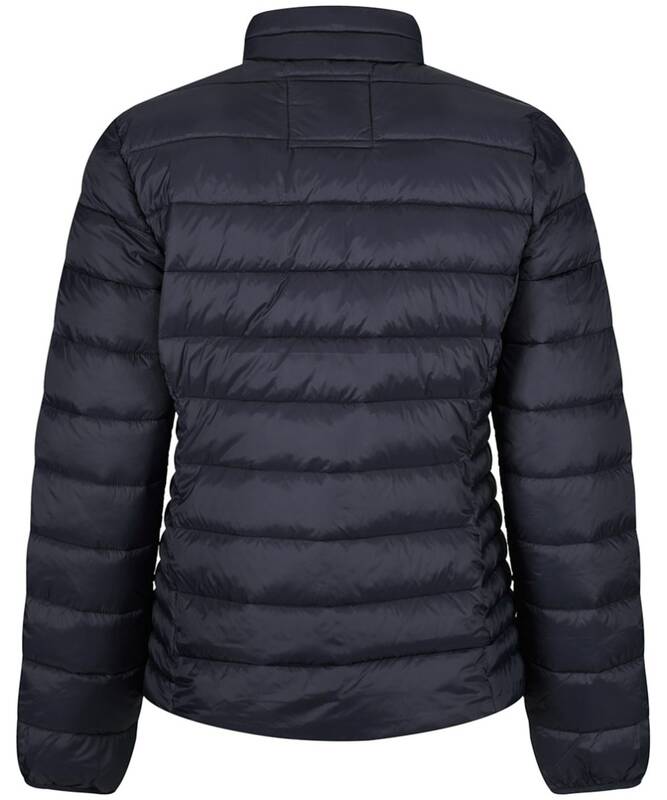 For your added convenience, the jacket has two front pockets, ideal for storing your personal items whilst you are out and about! 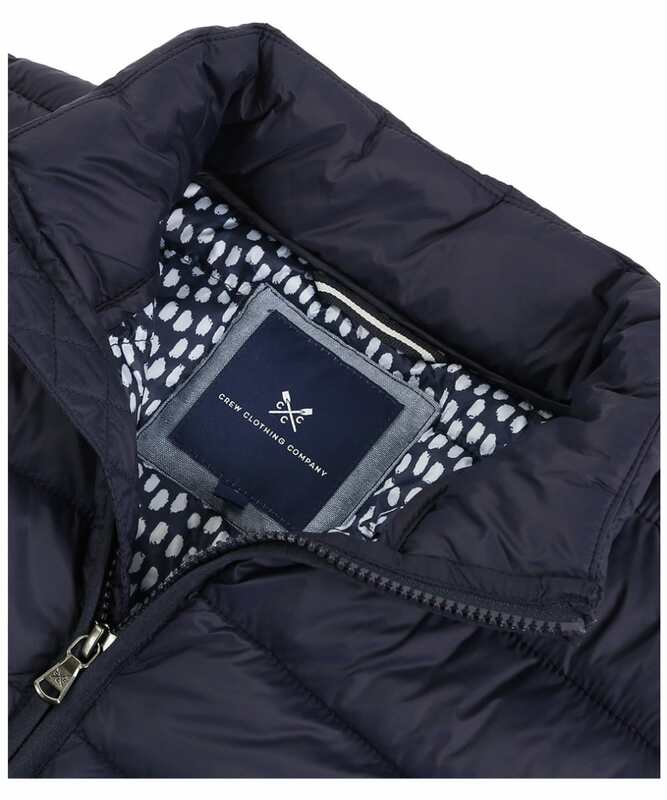 Finished with signature Crew Clothing branding for that added mark of quality, place the jacket over your favourite Crew sweater to complete your fashion forward look with ease.